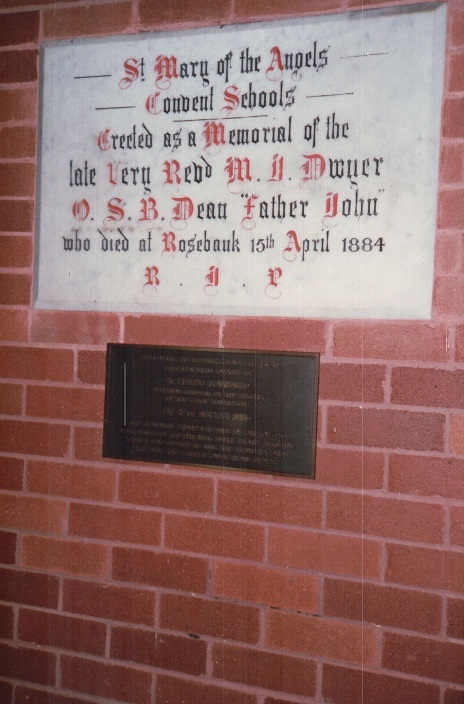 The estate of Rosebank was originally acquired to serve as a Novitiate for the growing community of young Good Samaritan Sisters at the Pitt Street Convent, where the noise of the bustling city was becoming more and more intrusive. In those days Rosebank was surrounded by bushland. The estate received its name from the beautiful hedge of roses surrounding it. The Sisters acquired the estate in 1867. The Novitiate, together with its chapel and the primary school, which already existed on the site, served the local community. The primary school replaced the school at Albina Villa on Parramatta Road, Concord which the Sisters began prior to 1867. 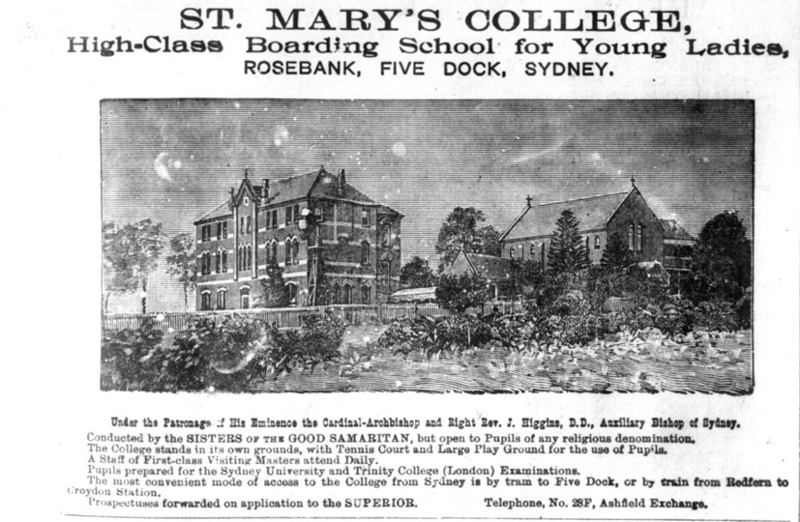 In 1877 the Novices returned to Pitt Street where a new convent was built and Rosebank became a Catholic Boarding School for girls. Father John Dwyer, OSB, was the chaplain, and took an extraordinary interest in the intellectual, physical and spiritual well-being of the students.